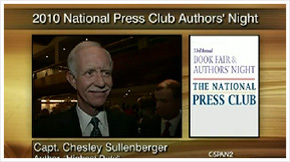 Sully Sullenberger talked about his book Highest Duty: My Search for What Really Matters. 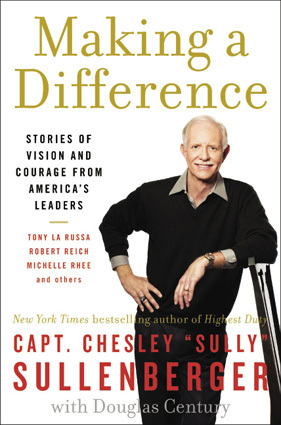 On January 15, 2009, Captain Chesley “Sully” Sullenberger glided US Airways Flight 1549 onto the surface of the Hudson River, saving the lives of all 155 aboard. His cool actions not only averted tragedy but made him a hero and an inspiration worldwide. His book reveals lessons from childhood, his military service and his work as a commercial airline pilot. He was interviewed at the 33rd Annual National Press Club Book Fair and Authors’ Night, a fundraiser for the Eric Friedheim National Journalism Library and The SEED Foundation held Tuesday, November 9, 2010, from 5:30 to 8:30 p.m.